Universities show the social liberality and tolerance of Taiwanese society by starting to accept applications from PRC students. 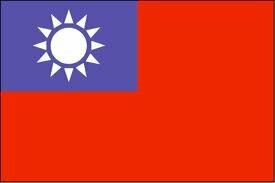 Taiwan has begun accepting applications from Chinese students to study here. Starting in the autumn semester, the first batch of students from China will study in Taiwan for university degrees. Because of previously tense relations with China, Taiwan has for years kept away all but a trickle of them. But as relations with China have improved, Taiwan has decided - despite protests - to allow up to 2,000 Chinese students to attend its universities each year. It may seem strange this has not happened before - Chinese students make up some of the largest groups of foreign students in many countries, including the US and UK. Their talents, especially in science and technology, are highly sought. Officials say Taiwan wants to tap into Chinese talent. Its universities are also in dire need of students, because of the island's low birthrate. But Taiwan is opening its campuses with caution. Some segments of Taiwanese society oppose the move; they fear Chinese students will steal jobs and scholarship money. So the students are banned from applying for government scholarships, working while studying or looking for work here after graduation. They are also barred from studying subjects involving national security or key technologies. These include military technology, homeland survey and aeronautics. They also cannot study in departments contracted to do confidential research. Despite these restrictions, officials say they are expecting all slots for this year to be filled. The website has already received hundreds of visits or inquiries each day. Taiwan's deputy minister of education, Tsong-Ming Lin, says Chinese students want to come to learn traditional Chinese language and culture lost in China. And many are curious about the only Chinese society that is a democracy. "From what we know, some of the students who have studied here have said Taiwan's democracy, openness and freedom have made the strongest impression on them," said Mr Lin. "Taiwan is an open and democratic society, many mainland students admire this. This will help them understand the situation in Taiwan," he said. He and others believe the increased interaction between Taiwan and China's young and bright minds will help improve mutual understanding, and contribute to long-term peace between the two sides, which have yet to sign a peace treaty since the end of a civil war in 1949.